1 tree planted in memory of David Lawrence Blackburn, Sr. 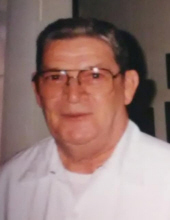 Celebrating the life of David Lawrence Blackburn, Sr.
Obituary for David Lawrence Blackburn, Sr.
Cherryville - Mr. David Lawrence Blackburn, Sr., 82, of 507 Pine Grove Avenue, passed away on Friday, January 18, 2019 at Hospice at Wendover in Shelby. David was born on July 27, 1936 in Lincoln County, NC a son of the late Rev. Robert G. "R.G." Blackburn and Edna Hoffman Blackburn. He was member of Crouse Baptist Church. David worked for Cherry Motors in Cherryville and retired from the City of Cherryville as Public Works Director. He served in the U.S. Army. In addition to his parents he was preceded in death by two sisters and three brothers. Survivors include his wife of 58 years, Jacqueline Heavner Blackburn of the home; a son, David L. Blackburn, Jr. (Amy) of Kings Mountain; two daughters, Terri Davis (Stan) of Iron Station and Lynn Lail of Lincolnton; two grandchildren Jennifer Cothran (Greg); Brandon Houser and fiancé Tori Wittmann; five great grandchildren three brothers, Walter Blackburn, Jim Blackburn and Marshall Blackburn all of Lincolnton. Visitation will be on Monday, January 21, 2018 from 12:45 to 1:45PM at Stamey-Cherryville Funeral Home. Funeral Services will be held at 2:00PM on Monday, January 21, 2019 at Stamey-Cherryville Funeral Home Chapel with the Rev. Robert Hill officiating. Burial will be in City Memorial Cemetery. Memorials may be made to Crouse Baptist Church PO Box 190, Crouse, NC 28033 or to Hospice of Cleveland County, 951 Wendover Heights Drive, Shelby, NC 28150. Stamey-Cherryville Funeral Home & Cremation Service is serving the family of Mr. Blackburn. To plant a tree in memory of David Lawrence Blackburn, Sr., please visit our Tribute Store. "Email Address" would like to share the life celebration of David Lawrence Blackburn, Sr.. Click on the "link" to go to share a favorite memory or leave a condolence message for the family.